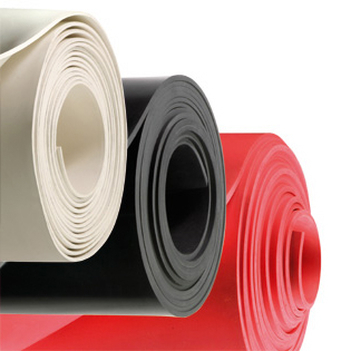 We supply high-quality rubber sheets for any-purpose you require such as protecting flooring from substances like petroleum and oil, rubber curtains and even to prevent tripping. They are very wide-purposed and can be used any way you feel like. We also Supply Australian Water Quality Center (AWQC) approved EPDM Sheet for using in contact with Drinking Water. Rubber Sheets, from basic commercial compounds to highly technical sheets. Rubber Sheets for Mining Industries, Anti Abrasive Rubber Sheeting. Water Proofing Sheets, 100% EPDM polymer content ideal for water-proofing roofs. Anti-Skid Floorings, excellent in shock absorption and slip resistance. Coated Fabric, good stability, washable, durable and much stronger than uncoated fabrics. Diaphragm Sheets, with 1 ply and 2 ply Nylon Fabric Insertion used as Diaphragms for Oil, LPG and solvent resistant applications. Water intended for human consumption without imparting any toxic effect is drinking water. Water of sufficient quality to serve as drinking water is termed as potable water whether it is used as such or not. The non-metallic materials can cause changes in water quality when it comes in contact with it. BS 6920 and its modified version AS/NZS 4020:2002 (for Australian and New Zealand requirements) is the method for testing the water quality –i.e, ‘Testing of products for use in contact with drinking water’ and any non-metallic product should comply with these test requirements for getting the approval given by Water Quality Centre(AWQC). Potable Water Rubber Sheet (PWRS) has been developed for using in contact with drinking water which has been met all the technical and biological property requirements as tested by following the corresponding Standards. One side or both side smooth or fabric finish can be supplied.